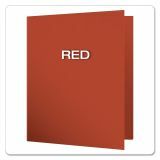 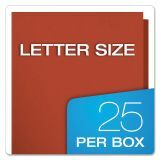 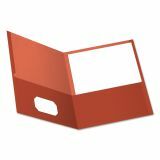 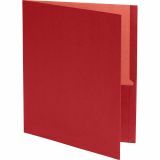 Earthwise by Oxford 100% Recycled Paper Twin-Pocket Portfolio, 100-Sheet Capacity, Red, 25/Box - Back to school! 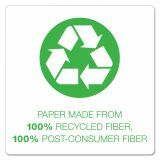 EarthWise recycled twin-pocket folders are made with a high percentage of recycled material, exceeding EPA CPG guidelines. 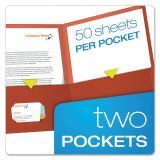 The two pockets hold letter-size documents. 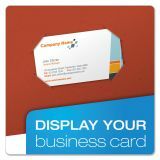 The left side pocket is die-cut to hold business cards for instant personalization. Pocket construction with thumb cut and reinforced sides resists tearing from normal use.